From the Grand Parkway to The Medical Center, Team Gillman Acura is your premier retailer of new and used Acura vehicles in Houston, TX. Beginning with our state-of-the-art showroom, and extending to our award-winning sales, financing, and service teams, we are dedicated to providing an exceptional car buying experience. This commitment to the customer has earned Team Gillman Acura the prestigious Precision Team Award for 2018. 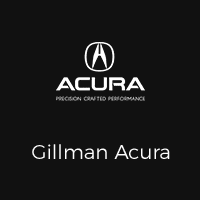 Raad Obaidy, General Manager of Team Gillman Acura stated, “The generational success behind Team Gillman Acura was first set by our founder Ramsay Gillman, and is strictly honored by his son Chris Gillman. Our philosophy is to continue to provide above and beyond customer service that lasts an entire lifetime. Every consumer that we encounter is diligently treated with respect, warmth, and given a plethora of dedication in every aspect of the automotive purchasing process. Our commitment to current and future Acura customers never ceases to grow, and that is a promise that has proven to be true by attaining this prestigious award. The Precision Team Award signifies exceptional results across business operations and client satisfaction and was awarded to only a select number of Acura stores in 2018. The 2018 Precision Team Award proudly marks the 8th time that Team Gillman Acura has been recognized for their commitment to customer service. Don’t take our word for it, call us at (281) 821-1100 to schedule a test drive of one of our top-of-the-line new or pre-owned Acura models or, simply, stop in today at 18002 I-45 North, Houston, TX 77090.